One of the happiest aspects of this book for me is that I was able to read this dedication to Dad before the book was published, and I got to see the genuine surprise and pleasure on his face when he learned of it. 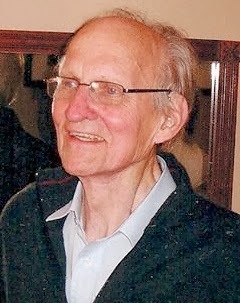 Unfortunately he has since passed away so he is not here to help celebrate the launch. What you may not know is that Housework Harmony Launch Day is February 12th — my father's birthday. This is one more small way I can honor and celebrate his life, and I'm grateful that you've dropped by to help me do so. Thank you! I'd like the launch event to help as many people as possible access the book one reviewer called “the most compassionate and fair-to-both-genders relationship guide since Men Are from Mars, Women Are from Venus.” Consequently, from now until Valentines Day (this Friday, Feb. 14th) the e-book is available from Amazon for the introductory promotional price of $1.99. Are you among the 57% of couples who can't seem to end up on the same page when it comes to household chores? Would you like understand how to uncover the real reasons behind your frustration? You can learn low-stress ways to fall a little bit more in love with each other every day. Do you know someone who has a bridal shower coming up this year? The Housework Harmony paperback makes a great chuckle-worthy gift that can also make a real difference in the new couple's relationship. It's an affordable gift at only $11.99. Are there any therapists, marriage counselors or family-oriented bloggers among your Facebook friends or Twitter followers? Housework Harmony is a valuable resource for couples in crisis, and I'd welcome your help in spreading the word. Housework Harmony is available now in paperback and Kindle e-book from Amazon. 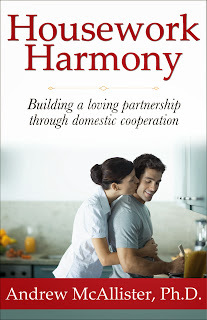 I am excited to announce that Andalusia Press has recently released my newest book, entitled Housework Harmony: Building a loving partnership through domestic cooperation. I am delighted with the cover! What do you think? Looking after your home and your children can place constant demands on your energy and free time, which is why housework is so often the flashpoint that brings out relationship challenges. Housework Harmony turns this problem into an opportunity by showing you how to replace tension and resentment with supportiveness and a growing sense of closeness. This book uncovers the many behavior patterns, commonly held assumptions, societal pressures, and other hidden landmines that influence how couples choose to share their domestic workload. Housework Harmony provides alternative approaches that will have you and your significant other cooperating like never before, opening the door to a loving partnership that will spill over into all aspects of your relationship. Housework Harmony makes a great bridal shower gift! A journey into the unknown, often in a far-flung, exotic location. Characters you care about who are thrust into extraordinary circumstances, with considerable suspense as to whether the characters will triumph over the challenges they face. These are a few of the elements that make up a great adventure story. These elements also happen to be provided in wonderful abundance in Uncharted by Tracey Garvis Graves. Uncharted is a companion novella, a follow-up to the author’s runaway bestseller On The Island. 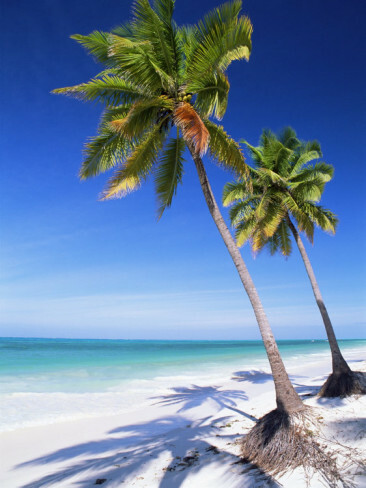 On The Island tells the story of an unlikely romance that blossoms when a young woman and an even younger man are stranded for years on a tiny island in the Maldives. While there, they discover a human skeleton and a tiny wooden shack. Uncharted clears up the mystery of the island's deceased previous visitor, while introducing another young couple with a unique and challenging romance of their own. And for all you guys out there, yes, I just used the r-word. Twice. 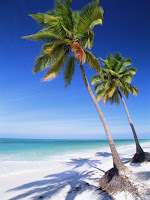 On The Island and Uncharted are both categorized as Women's Fiction and Contemporary Romance. Trickery, trickery, trickery. Don't be fooled into passing on these reads. I carry a Y chromosome with me everywhere I go and I enjoyed both books tremendously. These stories are much more than boy meets girl; they are legitimate entries in the Action and Adventure category. Both of them kept me up into the wee hours of the morning. The author goes far beyond simply relating events as they take place. Instead she immerses the reader into the adventure so we understand what the experience is like for the characters. We get to feel their fears, their pain, and ultimately, their joy. Uncharted can be read and enjoyed on its own, but I don’t recommend doing so. In my opinion you would be depriving yourself of the best way to experience these captivating stories. Part of the tension I felt while reading the novella was a delicious after-effect of On The Island, and Uncharted includes a few spoilers that relate to the preceding novel. But that was probably just my imagination. 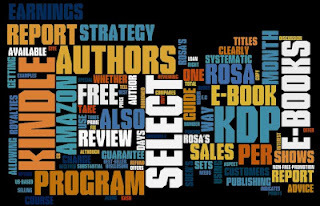 Kindle Direct Publishing (KDP) offers authors the option of signing up for the KDP Select Program. One of the benefits is that authors are permitted to offer books for free for a limited number of days. I held a Select free promotion recently for my novel entitled Unauthorized Access. This promotion turned out to be more successful than I ever could have predicted. The book was downloaded 30,000 times in the first 24 hours and shot up to the #1 Amazon.com Best Seller for Free Kindle eBooks. Unauthorized Access held this #1 slot for the entire second day of the promotion and never fell out of the top 10. The final total was 52,000 downloads in three days. The book went back to paid status following the promotion. In a little over 24 hours Unauthorized Access earned the #1 spot on the paid best seller lists for both the Technothriller and Men’s Adventure categories on each of the US, UK, and Canadian Amazon sites. The impact lasted for exactly a month, making the promotion well worth holding. Sales were wonderful for the first couple of days, then gradually diminished over the course of the month, finally settling back to pre-promotion levels. I was fortunate to receive considerable support from my online friends during the promotion, including quite a number of people who are authors themselves. I am intensely thankful for the help I received. As a small token of my appreciation, I’ve tried to capture what I learned from the experience so others might benefit. My advice is available in the document below. 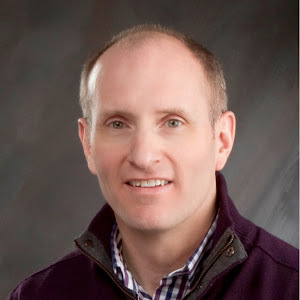 I hope it proves useful for other authors who are considering whether to conduct a free promotion with Amazon Select, and would like some advice on how to do so successfully. If you're not an author, this will give you some insight into the issues faced by Indie authors today. Resolving a Couple's Conflict - What if She's Talkative and He's Not? 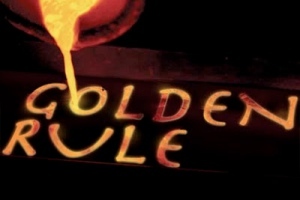 We've all heard the Golden Rule before: “Treat others as you wish to be treated.” Usually, I find this to be sage advice, however, I'm starting to get the feeling that this behavior is driving a wedge between me and my partner. I prefer a more verbal communication style. I ask my partner to share his thoughts with me because it makes me feel like my partner trusts me and I feel like it gives me a chance to see a side of him no one else does; therefore, I try to role-model this behavior by talking about my innermost thoughts and desires in the hopes that it will encourage him to open up. My partner, on the other hand, seems to prefer a more silent approach, where hugs and kisses are supposed to communicate these deeper feelings. For example, about 15 minutes after having an argument, my partner pulled me aside, gave me a kiss, and said “I love you.” I later found out that he considered that an apology, but I was looking for an acknowledgement of his role in the argument and a clear-cut apology. I recognize that my partner probably doesn't want to hear me babble on and would prefer a more reserved approach, but I also feel that if I stop role-modeling the kind of attention I want to receive, I will never get what I want. How do you reconcile differences in how you want to be treated? I can understand your desire to be with someone who fulfills your needs. We all want that. It seems, however, that the way you’re trying to achieve this isn’t creating the desired outcome. Let’s examine why. For starters, I could interpret “Do unto others” somewhat differently in your scenario. You interpret it as communicating openly with him in hopes he will communicate openly in return. What you’re actually doing, though, is trying to change him. You’d like him to behave in a way that doesn’t come naturally to him. So if he were to treat you the same way you’re treating him, he would use his natural behavior (which he’s already exhibiting) in an effort to change you. He’d try to get you to adopt his communication style. That would likely result in an unproductive stalemate. You’d like him to make you feel good, so the golden rule suggests you should find a way to make him feel good. As you’ve described it, however, your babbling is intended to satisfy your needs, not his. Every person and every relationship evolves over time, so it’s natural – even necessary – to ask for change once in a while from our significant others. It’s generally a recipe for disaster, however, to enter into a relationship knowing you’ll only be happy once you’ve changed something fundamental about your partner. I’m not saying that’s what you’ve done, but you have to be careful about trying to change your partner’s basic personality. I get the sense you’re effusive and he’s more reserved. If so, you might as well accept right now that this will always be his general nature. No amount of asking, modeling, or pressuring will change someone’s core traits. Here are a couple of questions you should ask yourself. Will you be happy only once you’ve changed his basic nature? Or will it be enough if he can learn a few tricks of the trade so he can fulfill your needs better? If it’s the latter, we can start think about how to teach him ways to accomplish that. One of you has to break the impasse by taking the first positive step. I suggest you do so, for the simple reason that you can make that happen but you can’t choose for him to do so. One of the most effective ways to begin making changes is to first acknowledge your own role in how things have gone so far. You mention using role modeling as a way to ask for change. That’s unfair to him, in a sense, because it requires him to guess why you’re acting that way. He could be forgiven for coming to the most obvious conclusion, which is that you’re sharing your inner thoughts because that’s what you naturally like to do. You could admit to him that your explicit objective in doing this was to encourage him to do the same, and then you could apologize for becoming frustrated with him when he didn’t take the hint. This is an example of what I mean by taking the first positive step. You start to ease any existing tensions by offering an apology. Another well known chestnut is not to look a gift horse in the mouth. He offered you the gift of an apology after your argument. He did so using language that took a while for you to decode, but nonetheless he was sincerely trying to make up. Your response was to be critical of his gift. It would be good if the two of you can come together on how to state apologies so they work best for both of you. Since that hasn’t happened yet, your initial olive branch might include an apology for not being more gracious in accepting his attempt on that occasion. Be conscious of putting a positive spin on your requests. Avoid saying things like, “I hate it when you’re quiet all the time.” Instead try this: “It makes me feel special when you share your innermost thoughts and dreams. Will you do that for me sometimes?” Rather than predicting failure if he doesn’t comply, predict great success that will come from the requested change. Don’t ask for more than he can deliver. Like I discussed above, asking him to change his fundamental nature is likely to end in failure. Be as specific as you can. Something like “Will you please be more talkative?” is too general, because it’s difficult for him to know specifically what he should do to make you happier. Instead, ask for something he can do right now: “It would make me feel better if you acknowledged your role in that argument. Will you please do that for me?” And by the way, that one works better if you’ve just finished acknowledging your own role. I get the sense from your email that you and your partner have plenty of positive things going for you. His giving nature prompted him to proactively offer up an apology after your argument. You obviously care enough about the relationship that you’ve given the issues serious thought and have reached out for help. Hopefully you’ll find my suggestions helpful in reconciling your differences. I wish you the best of luck and I’d love to hear how things turn out. [Reenie] What made you decide to give the book a fresh new look? Who designed the cover? I work with Thomas K. Matthews Illustration out of San Diego. The original book cover for Unauthorized Access was purposely designed to have the look and feel of an old-fashioned pulp fiction paperback, with an edgy feel to it. After doing numerous book signings and other public events, however, I decided I would rather present a modern look and feel, more consistent with the story and with today’s thriller genre. I couldn’t be happier with the result! And so far reader response to the new cover has been amazing. [Reenie] What was the process like? The process was amazingly interactive, despite the fact that I live 3,000 miles from San Diego. First we brainstormed a few general concepts that we thought might work on the cover, basically drawing from scenes in the book. We thought of a young woman running through the woods at night, for instance. We finally settled on an urban look because that matches the story. Then Tom Matthews worked up several concept covers, using different images, color schemes, layouts, typefaces, and so on. We settled on the one we liked the best and then had a series of interactive work sessions. That was a blast! Through the magic of Skype and email we were able to work as if we were in the same room. We fiddled and tweaked the details until the result satisfied both of us. The process took a few weeks but I believe the result is well worth it! [Reenie] Do you have any other novels or plans for one in the works? And it turns out he’s not just being paranoid. [Reenie] What inspired the novel Unauthorized Access? Some number of years ago the itch to write a novel became so great that I couldn’t possibly ignore it, so I started spending my idle moments wondering about story ideas. Besides being a writer, I am also a computer scientist, so I had a vague idea that the story should have an information technology angle. They say to write what you know, right? 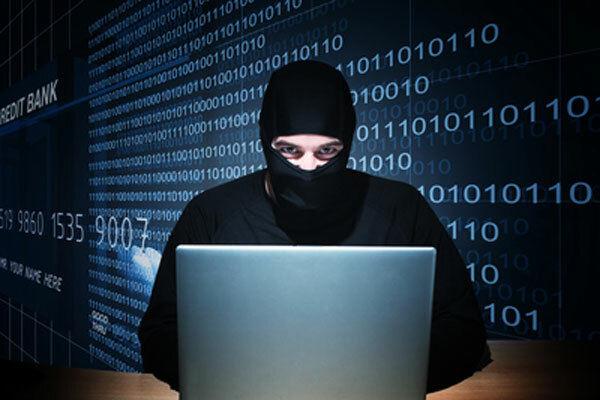 Then one day I was listening to an interview with an Internet security expert on public radio. “Can you imagine what would happen,” he said, “if someone managed to take down the systems at a bank?” His remark got me imagining exactly that scenario, and Unauthorized Access was born. [Reenie] When did you begin writing? For me, writing began as a natural spinoff of reading. I was a voracious reader growing up, and I still am. The idea of writing didn’t occur to me, however, until I was an adult. Then one day the idea just strolled fully formed into my brain. “You’d like to be a novelist,” the idea informed me. I agreed, and we’ve been partners ever since. I started the way most writers do, with short stories, writing contests, and writing classes. I’m still quite fond of the short-short story that was a contest winner with Alfred Hitchcock’s Mystery Magazine. Then one day I decided to take the plunge and write a novel. After that initial effort crashed and burned, I picked myself up, dusted off my ego, and had another go. Before long I was working on Unauthorized Access. [Reenie] You are an avid reader. Can you share your biggest literary influences? I’m an omnivore when it comes to books. I’ll read just about anything if it has conflict and can hook me enough to keep turning the pages. I have to admit, though, that my fave reads are action and suspense. I love World War II history, so authors like Alistair MacLean, Jack Higgins, and Ken Follett are naturals for me. In fact, an audio book version of Follett’s The Key to Rebecca is currently plugged into my car stereo. Other notable reads that come to mind are Jaws by Peter Benchley (which I read in a single sitting), The Godfather by Mario Puzo, and everything by Stephen King. The Stand is my favorite book of all time. 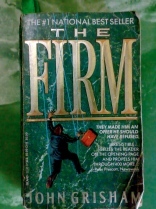 The bulk of my reading over the years, however, has been the work of thriller writers like John Grisham, Lee Child, David Baldacci, and Christopher Reich, to name just a few. I think readers of Unauthorized Access would agree that these authors have had the greatest influence on my writing. I love it when characters are thrown into terrible messes and must scratch and claw their way back to some semblance of normality. [Reenie] You have had so many wonderful 5 star reviews. Can you describe that moment when you read the first one? You know, if there is one aspect of the published novelist experience that has surprised me the most, it might be online reviews. Some of my expectations turned out to be true, for instance that reviews have become an important “currency” by which an ebook is judged while someone is considering whether to read it. One thing that surprised me, though, was that almost everyone who reviewed Unauthorized Access on Amazon or Goodreads has reached out to me beforehand. People have sent me emails, Facebook posts, text messages, even phone calls to let me know how much they enjoyed the book. The idea of writing a review often comes up as part of these conversations, and once the idea has been broached, most people are happy to help out by writing a short review. My first 5 star review followed an email I received from a young Canadian college student who was traveling in Europe last summer. She downloaded Unauthorized Access onto her Kindle based on a recommendation from one of her girlfriends. She ended up reading the entire book in a single sitting while on a long train ride. It was a delightful feeling to have that email pop up in my inbox. In some sense this type of feedback is a validation of years worth of effort. [Reenie] Are there any genre’s you enjoy that people might be surprised about? Like I said, I’ll read anything that holds my interest, but it’s usually more about the individual book than the genre. 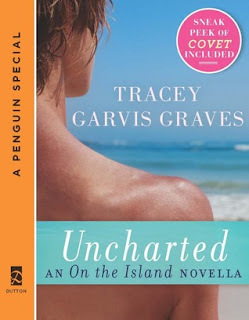 I’ve never been much into romance books, but I recently read On The Island by Tracey Garvis-Graves. It was wonderful! The first night I started reading it I was up half the night. In this case the cliché was true – I couldn’t put it down. I also truly enjoyed The Notebook by Nicholas Sparks. I’m not sure if reading two books is enough to classify me as a romance-aholic, but I can certainly appreciate some books in the genre. [Reenie] As I mentioned in my review of Unauthorized Access, I could picture your book as a Hollywood Blockbuster. If that were to happen, who could you see in the lead roles? Cast your movie! You’re not the only person who has suggested the idea of a movie. It’s fun to dream, so here goes! I should start with Rob and Lesley, the young couple who are the two main protagonists. I’ve described Rob as having dark, spikey hair, so I thought someone like Josh Hutcherson would look the part. For Lesley I chose Odette Annable. What a handsome couple! Do they look like they belong together or what? Tim Whitlock is the same age, but he’s a complex character, a little on the geeky end of the spectrum, with many different sides to his personality. My bet is that Michael Cera could pull that off. Stan Dysart is the bank president. He’s charming, professional, and ultra capable, but he’s no shrinking violet. He has a surprisingly ruthless side that not every reader sees coming. I’m going with the very distinguished Eric Roberts. Then there’s the ultimate menacing bad guy, Ray Landry, who also has a cultured side. One look at Jason Statham’s face and you know he could pull off that role. Finally in Chapter 1 the reader meets Mary, Stan Dysart’s capable office manager. Who better to play this role than our very own Reenie! 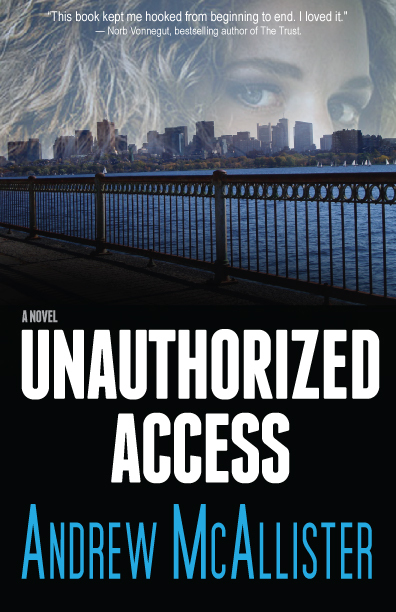 Get a FREE copy of the book: The Kindle version of top-rated thriller Unauthorized Access will be free on Amazon later this week, March 6-8. You can sign up here to the Facebook event if you wish to receive a reminder when the price drops to $0.00. This is a public event, so feel free to invite your friends! Paperback Giveaway: Pop on over to Reenie’s Book Blog, where she is holding a giveaway for a paperback copy of Unauthorized Access. That’s the last line from Stephen King’s wonderful novella Rita Hayworth and Shawshank Redemption. It also happens to be my favorite line in all of English literature. Those are the words of an ex-convict who has spent his entire adult life behind bars, where hope was a scarce commodity indeed. He is paroled near the end of the story, and with that freedom comes the pure joy of finally looking forward to a future that seems infinitely brighter than his past. Today’s publishing industry has bred an entire generation of writers who have also spent years in a prison of sorts. For the longest time the seemingly impregnable gates of the big publishing companies admitted only the fortunate few. Millions of novel manuscripts lay hidden away in dark drawers. The authors had little hope their words would ever see the light of day. Then along came ebooks, print-on-demand, and the publishing tour de force that is Amazon. Suddenly there was hope. Anyone could polish off that book, apply a bit of formatting, click a few Amazon website buttons, and kazam … they had the book live and for sale within hours. That’s quite a happy ending, right? Except it isn’t, not for most of those newly liberated writers. According to the New York Times, the vast majority of self publishers never sell more than 100 to 150 books. Even truly talented indie authors who produce professional quality work often struggle to be found amidst a deluge of inexpensive books. “Go online then,” became the battle cry, “that’s where the readers are.” So authors flocked to Facebook and Twitter in an effort to be heard. Unfortunately most authors find their social network marketing efforts have little discernable impact on sales. There are only so many times you can tweet ”My book is great – you should buy it” before the people on the other end of that seller / consumer relationship simply tune out the message. All of which leaves a legion of authors feeling imprisoned and hopeless once again, only this time due to the difficulties of standing out among 2 million+ competitive titles offered by Amazon. But just like the select few authors who found a way past the doors of the big publishing houses, another small group has cracked the code for what it takes to succeed in a big way as an indie author. Toby Neal is one such success story. Toby's journey into publishing began like most indie authors. She wrote the best book she could, made it available to the world, and hoped it would catch on. And catch on it did. After months of respectable sales and gathering deservedly great reviews, Toby ran a promotion that resulted in 45,000 downloads and pushed Blood Orchids into the number one Kindle Free spot on Amazon. 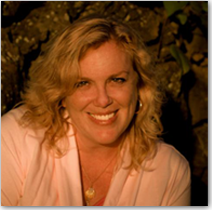 She was able to attract the attention of large numbers of people who were interested in a delightful police procedural mystery set in beautiful Hawaii. 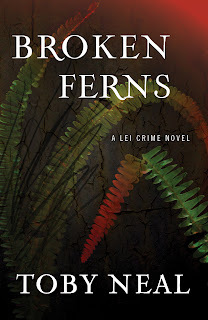 She followed this success by releasing three more entries in the Lei Crime series. All four of these wonderful mysteries currently have Amazon sales ranks that would be the envy of most indie authors. Each is ranked in the top 100 in various Amazon sales categories. How did she accomplish all this? Well that’s where I can offer the best piece of good news yet, because she wrote it all down in a book entitled Building an Author Platform That Can Launch Anything. And here’s an even better piece of news. Every step of her success story is repeatable. You can do this. You don’t have to hope that you’ve written the perfect book. You don’t have to hope to get lucky and catch some mystical trend of book buyer desire at just the right time. You do, however, have to download this book and follow her advice. Believe me, for only 99 cents this is one of the best investments in your writing career you will ever make. Toby Neal reveals a solid strategy for developing valuable online relationships with large numbers of reading fans, whom she calls Book Lovers. She explains the principles on which this strategy is based, which actually have a solid foundation in social psychology. Here’s an example. She suggests authors should build online relationships with Book Lovers by first being good citizens and injecting value. The example I gave above – ”My book is great – you should buy it” – doesn’t do this. It’s a straight sales pitch at too early a point in the relationship. You’re wincing, right? Most of the time he’s going down in flames, and I’m being gentle with the word ‘most.’ He’d be better off to simply be himself for a while with the new girl, give her a chance to discover for herself that he has some qualities she admires. Then when he gets around to asking her out with humble confidence, there’s a better chance she’ll be inclined to say yes. It’s the same with potential book buyers. Authors today have an amazing opportunity to interact in a wide variety of online forums. The trick is to do so in such a way that shows you’re willing to support others, rather than always asking people to do something for you. How do you accomplish that? You get yourself a copy of Toby Neal’s book and follow her advice. I found I was already following several of her principles, but she still pointed out plenty of ideas that hadn’t occurred to me. I’ve started applying her tips and I’m already enjoying the results. 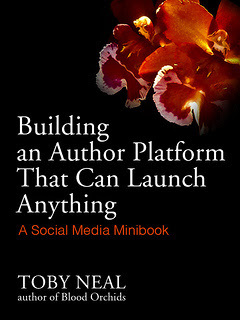 Toby Neal’s advice on building an author platform is authoritative and specific. She describes exactly what you should be doing if you want to achieve the kind of Amazon sales success she is currently enjoying. I hope I can apply the principles from Toby Neal’s book with the same professionalism and class she has demonstrated. I hope I can offer something valuable to each and every new online friend I meet. I hope readers will continue to enjoy my work. Next Week: Drop by to learn all the details of Andrew’s upcoming Reader Appreciation Promotion, during which Amazon top-rated thriller Unauthorized Access will be available FREE for three days. Thank you for visiting! This is my official author website. I'd love to hear from you, so please feel free to use the Contact information to say hello in whatever manner suits you. I'll be updating this site with book releases, promotions, upcoming developments, and other newsworthy items as they arise. I also like to share my thoughts on current topics related to my books, so please drop by again. Be the first to hear when Andrew is releasing a new book! Click here to sign up for his New Release Mailing List. This list is used only for major announcements and will never be shared.